The Latvian is still not sprinting, according to coach David Fizdale, and remains at about the same level as prior to training camp: he’s shooting and jogging lightly. It’s not exactly that Porzingis is alarmingly behind schedule—Jabari Parker took a year to recover from his ACL tear in 2017, and Zach LaVine took about 11 months—but the lack of progress certainly isn’t good, and Fizdale was noncommittal when asked if Porzingis would return to the court this season. 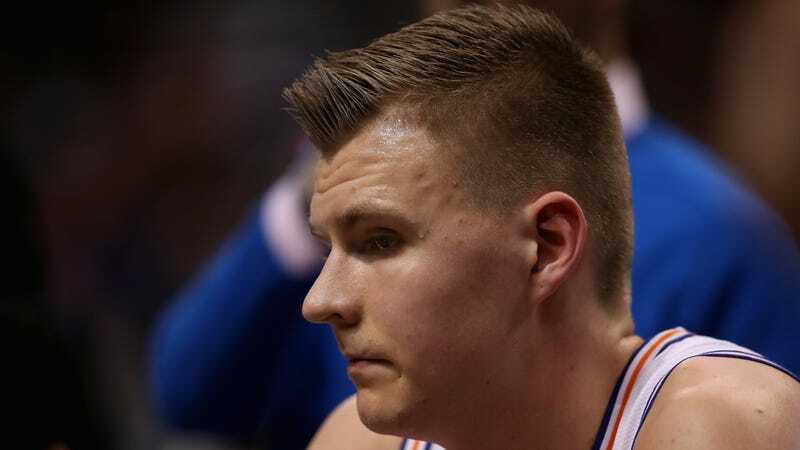 For the big man himself, this couldn’t be happening at a worse time—the Knicks elected not to extend his contract ahead of the Oct. 15 deadline, which means Porzingis will become a restricted free agent next summer. If he doesn’t get a chance to play at full strength before then, it’ll likely cost him millions of dollars. The Knicks, in the meantime, have been forced to rely heavily on Tim Hardaway Jr. for their points outside, and Enes Kanter down low—two players who, if you somehow combined them, probably equal one healthy Kristaps Porzingis. They’re 4-8 to start the season. Update (12:57 a.m. ET): Kristaps has fired back! He posted photos on his Insta story where he seems like he’s sprinting. What Comes After Kristaps For The Knicks?